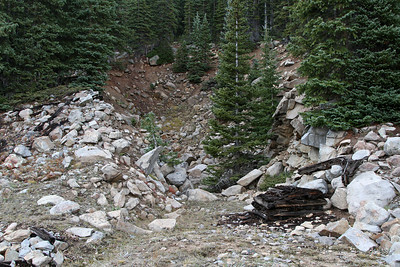 The Colorado Midland Railway was incorporated in 1883 to build a standard gauge railroad between Colorado Springs, Leadville, and Aspen. 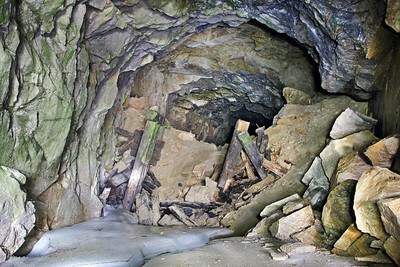 Construction began from both ends in 1886 and was completed by November 1887. 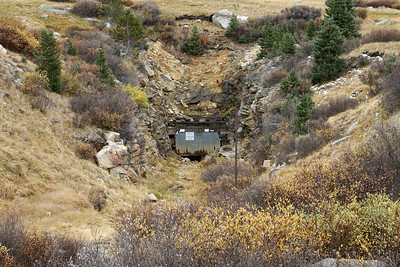 The Midland crossed the Continental Divide via a 2064-foot tunnel at Hagerman Pass, noteworthy for the operational difficulties presented by this high altitude crossing (elevation 11,528 feet at the east portal) and its subsequent replacement with the lower but much longer 9394-foot Busk-Ivanhoe Tunnel just six years later. 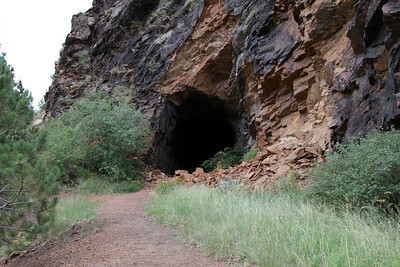 The Continental Divide represents just two of the 18 tunnels on the Midland, all but two of which remain nearly 100 years after the railroad's abandonment. 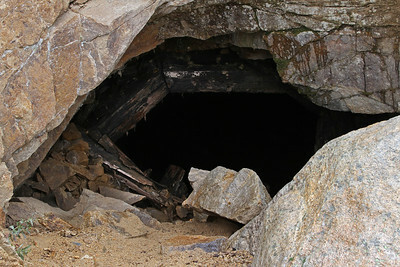 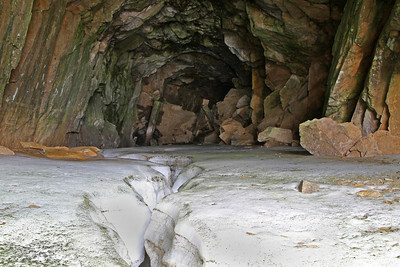 Five miles west along Frying Pan Road is the 528-foot Mallon Tunnel at Hell Gate, the westernmost tunnel on the Midland. 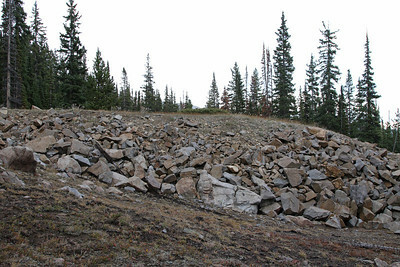 East of Leadville, four short tunnels at Buena Vista (numbers 12-15, ranging from 53 to 158 feet in length) are now part of County Road 371 just north of town, while three at Elevenmile Canyon (numbers 9-11, 211 to 264 feet) are used by County Road 96 southwest of Lake George. 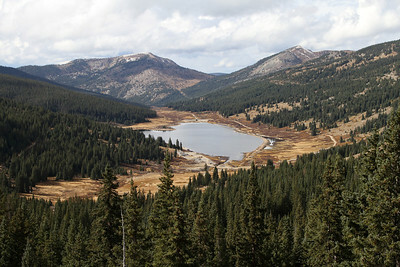 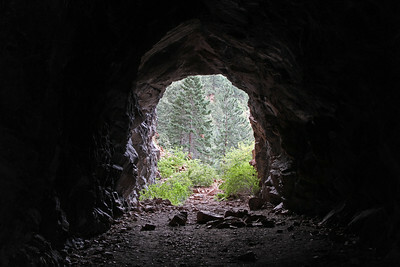 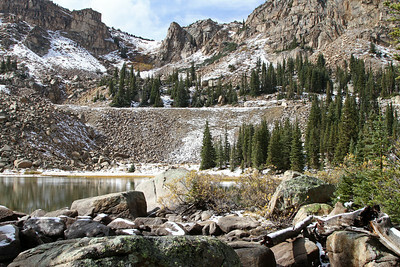 The remaining eight tunnels are located at Ute Pass and served three decades longer to 1949. 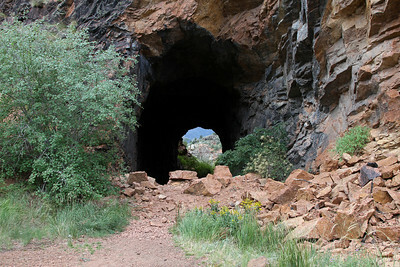 When the Colorado Midland ceased operations in 1918, the connecting Midland Terminal Railway from Cripple Creek (with a tunnel of its own south of Divide) obtained control between Divide and Colorado Springs via Ute Pass. 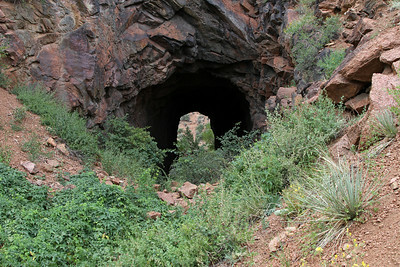 Easternmost 211-foot Tunnel 1 (historical photo link) and 106-foot Tunnel 2 are collapsed above Ruxton Avenue in Manitou Springs. 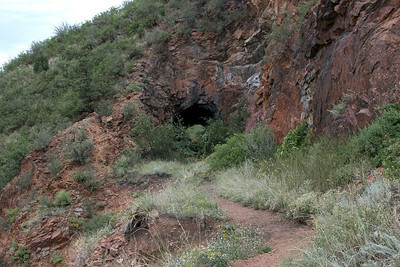 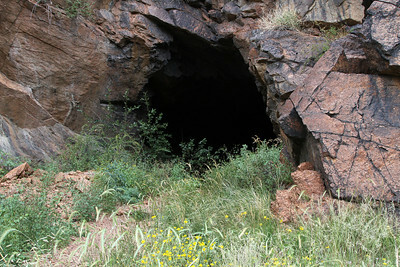 Tunnels 3 through 8 (pictured here) are in fine condition above Highway 24 and found along an unsanctioned hiking trail off Manitou Avenue. 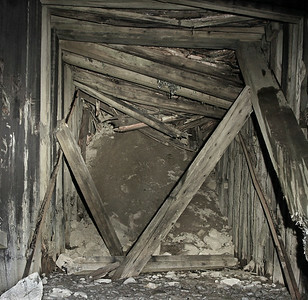 Tunnel 3 is timber lined while 4 through 8 are unlined. 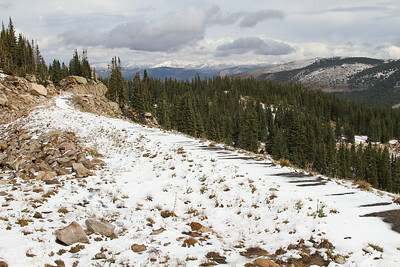 Note: This text and accompanying photos are the copyright of Christopher Muller and may not be reproduced in whole or in part on any website, message board, or other medium. 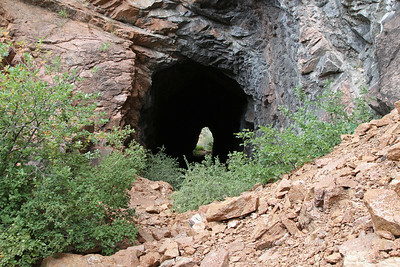 View west from the west portal of Hagerman Tunnel. 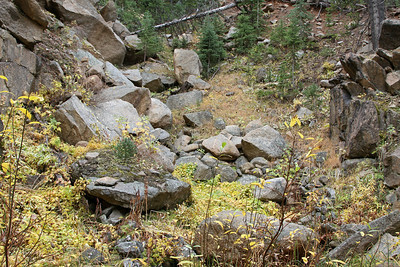 The High Line through Hagerman is seen at right and far left, abandoned 1899. 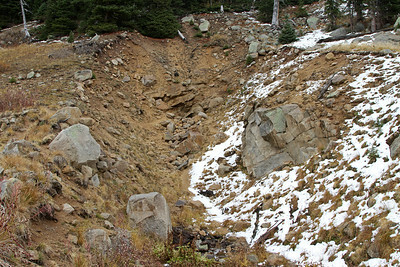 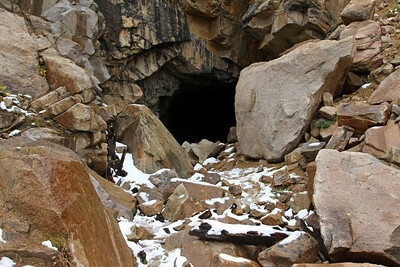 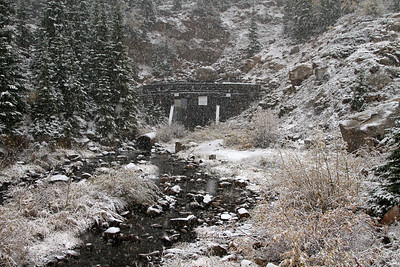 The replacement lower grade is seen at center crossing Ivanhoe Lake and entering the west portal of Busk-Ivanhoe Tunnel, abandoned 1918. 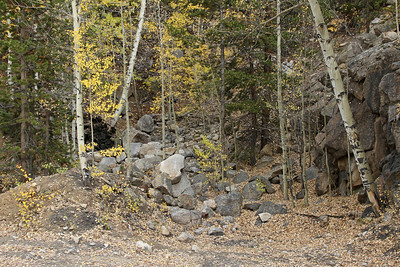 Construction of this tunnel on the east slope of Hagerman Pass ceased in 1887 in favor of an alternate routing via Hagerman Trestle which was faster to construct. 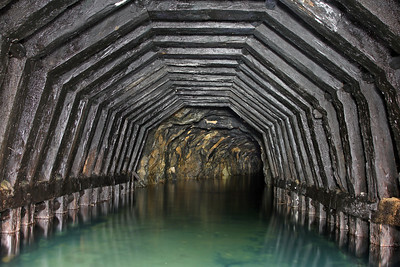 It is unknown how much, if any, of the tunnel bore was drilled. 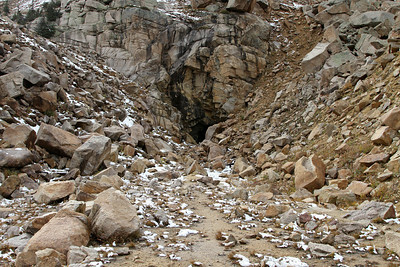 As seen here, a short cut and fill were completed for the east portal of the intended 1000-foot long curved tunnel.